Trios are the supreme discipline in improvised music, they can be complex, intense and intimate at the same time. At best they are like isosceles triangles, an optimal constellation with equal opportunities for each player. The exchange of musical ideas is not as obvious as in duos and more transparent compared to larger formations. That’s why there are so many of them, usually with a rhythm section of bass and drums and an additional instrument like saxophone, piano, guitar or trumpet. However, there are not so many “bassdrumbone“ trios. 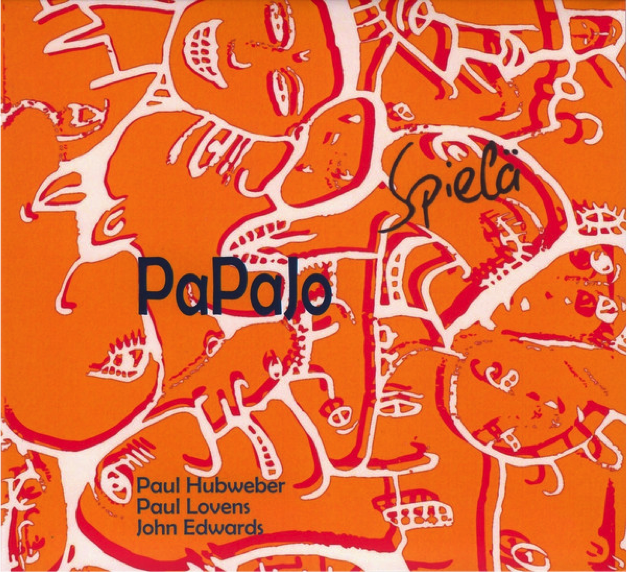 PaPaJo, which is Paul Hubweber (tb), Paul Lovens (dr) and John Edwards (b), have been playing together for 15 years now, they are one of these rare formations - and they have developed a very special vocabulary. On the one hand it is about an aural awareness in relation to time, movement and orientation. on the other hand about destabilizing our expectations and listening experiences and the predictability of improvised music in general. The musicians create extreme sounds and atmospheres, they alternate between highly condensed structures and very open and loose formats, narrowing and opening as they weave their circuitous improvisations. The result of these improvisations is a dynamic volume that the listener can hear but which also escapes an understanding which is too simplistic. It’s a bit like walking through Peter Eisenman’s Memorial to the Murdered Jews in Europe where you can also have the effect of inner dislocation in a destabilizing maze since the ground is uneven and the blocks vary in height and size. Yet, the feeling of dislocation in this music is less disturbing, it’s rather enjoyable. The piece is full of contrasting timbres and textures, the first part mostly consists of precise melodic motives before it flows into amorphous sound masses in which the music seems to peter out - the bass scratches and the trombones creates sharp pitches. It’s a permanent up and down between expeditions in silence and dynamic rapid-fire change. The piece contracts and expands constantly, the players drop in and out, they whisper and they yell, they pant and they breathe deeply. Then they surprise us with a swing passage dominated by a magnificent muffled trombone solo. The final part rocks the house with classic free jazz, here the music is on the peak of its compactness. The Zagreb gig cannot quite keep up with the high standards of the Aachen concert (although the music is very good too), maybe due to the fact that the Croatian audience wasn’t as enthusiastic as the German one. 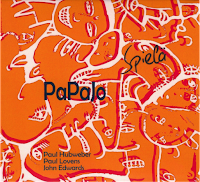 Nevertheless, Spielä is a very recommendable album by a great band. It is available as a double CD. Very good review Martin, with some excellent descriptions of what this fascinating trio is up to. The concert footage shows a small audience but that little chap seems well into it! I just had a "WTF?!" moment, thinking that I somehow managed to miss these guys in Zagreb, when actually the recording was made way back in 2003. Nice writing as always, Martin. Cheers!